My TV character portrait series is on exhibit (and for sale!) 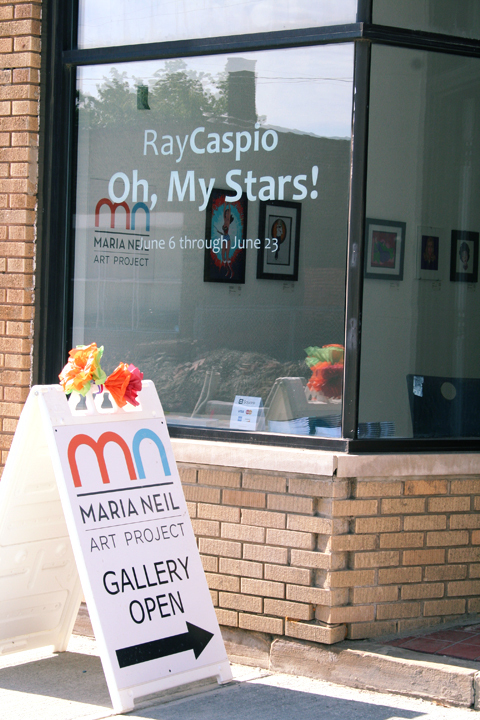 at Maria Neil Art Project gallery's Winterloo Art Mix in Collinwood through December 22nd! This is my first exhibition of work! You can buy hand signed 8"x10" prints of pieces such as Alexis Morell Carrington Colby Dexter Rowan, Wonder Woman's Spin Transformation, Laverne DeFazio, Rhoda Morgenstern, And Then There's Maude, Oh, My Stars (Samantha Stephens), Lucy is the Queen of the Gypsies, and more! These are all specially designed for Winterloo Art Mix and make unique, personal holiday gifts...and you're supporting independent artists in the process! Winterloo Art Mix also features the work of seven other artists who work in various media. 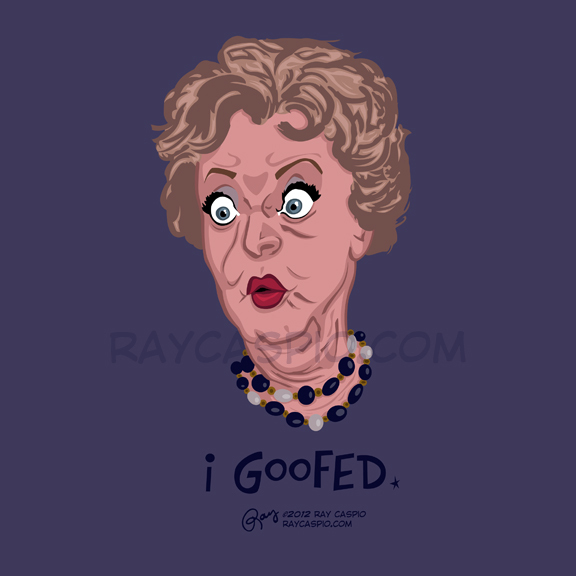 Aunt Clara from Bewitched, played by the brilliant and loveable Marion Lorne. So, yeah, this is a sketch and all, but it's the first thing I scanned with our new Wi-Fi scanner. It's upstairs and I scanned this from downstairs. I mean...color me floored. Alice Pearce played Mrs. Gladys Kravitz, the woman who defined Nosy Neighbor, during the first two seasons of Bewitched. She died during production of the second season from ovarian cancer, having been diagnosed before the series began. She was only 48. Sandra Gould assumed the role of Gladys, and redefined her, for the remainder of the series. Sandra's Gladys is the one known for, "Abnah!" Alice benefited from the quality of the writing during the first two seasons of the show. Her Gladys was given the opportunity to be a full person. The chemistry between Alice and George Tobias, who played her suffering husband, Abner, was perfection. So, here she is. 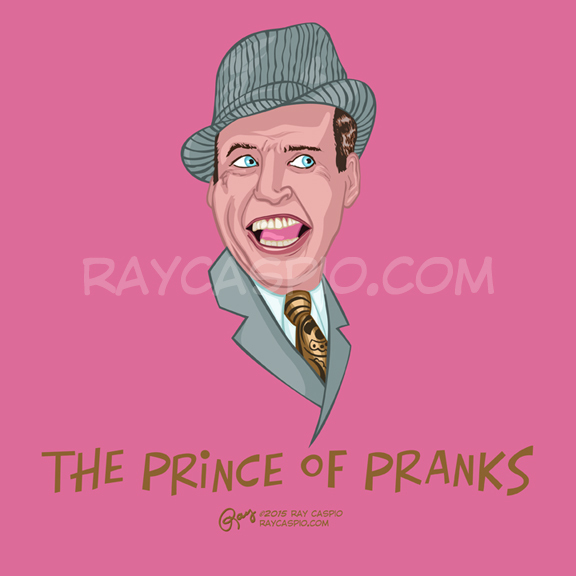 My favorite Gladys Kravitz, the human goose. I love Bewitched and I'm not afraid to admit it. 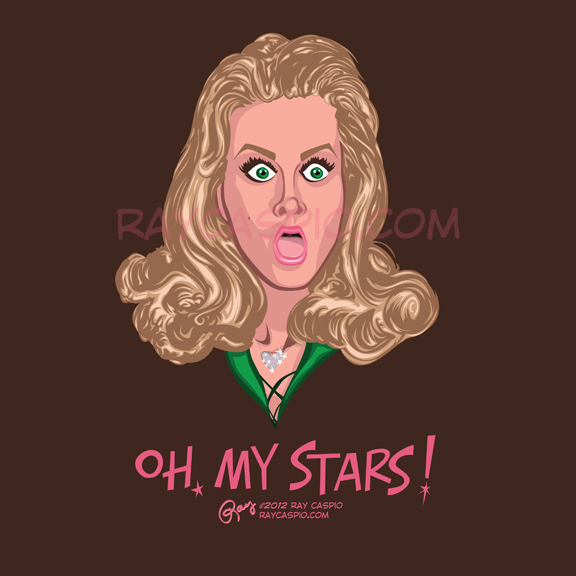 If you've looked around this site at the various Bewitched illustrations, you've noticed. If you've looked around my kitchen at my Samantha and Serena statues, you've noticed. Bewitched is the first TV show I remember watching. I cried when I had to start Safety Town as a kid because it was going to interfere with 11am episodes of Bewitched. It's one of the last shows I watched with my grandma – the episode was Samantha and the Beanstalk – before she passed away May 23, 2011. The day we got the key to our house in August 2011, I watched Bewitched DVDs on my computer while I prepped the house, alone, for painting. I've watched at least one episode daily since then. The show is comfort and memory. 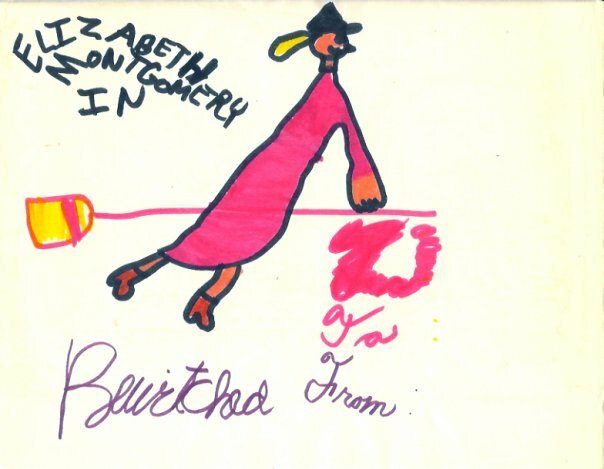 The show is Elizabeth Montgomery, who will always be one of my favorite actors. An early Bewitched illustration, drawn on the floor of my bedroom many, many years ago while watching the show. Elizabeth, as Samantha, represented possibility to me. Anything I wanted, I could have if I worked for it. She had the magical abilities to obtain whatever she wanted whenever she wanted, but she wasn't satisfied with that. Her power was in herself: a theme that ran through many of her characters throughout her career. With this illustration, I finally did Elizabeth justice. I captured what I hoped to capture. Elizabeth Montgomery doesn't bore me. The cast of characters from this show will never bore me because they're so much a part of me. Oh, my stars, I'm grateful for this show! Update, March 10th: Last night, I signed the contract allowing more of my thoughts on Elizabeth to be published in an upcoming biography about her, Twitch Upon a Star, by Herbie J. Pilato. It's one of those weird moments where life comes full-circle.